No matter how much your mom and grandma might like to tell you that their cupcakes and cookies are "made with love," they might want to keep that little detail a secret from here on out. That's a lesson one bakery in Massachusetts recently learned the hard way, when it was admonished by the Food & Drug Administration (FDA) for playfully including "love" as an ingredient in its popular granola. Seriously. "Your Nashoba Granola label lists ingredient "Love". Ingredients required to be declared on the label or labeling of food must be listed by their common or usual name [21 CFR 101.4(a)(1). "Love" is not a common or usual name of an ingredient, and is considered to be intervening material because it is not part of the common or usual name of the ingredient." Got that? Love is just an "intervening material" and don't you dare infer otherwise. 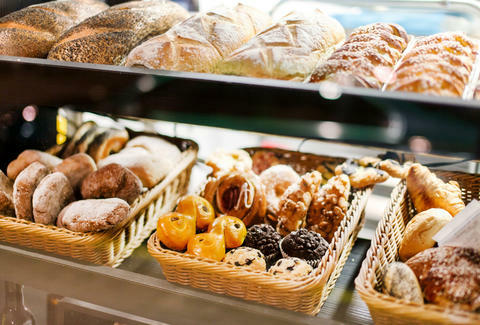 The bakery's CEO chalked up the FDA's critique to an example of government overreach and said it "just felt so George Orwell," according to a report by Bloomberg. "I really like that we list ‘love’ in the granola," he said. "People ask us what makes it so good. It’s kind of nice that this artisan bakery can say there’s love in it and it puts a smile on people’s face. Situations like that where the government is telling you you can’t list ‘love’ as an ingredient, because it might be deceptive, just feels so silly." Nashoba, which sells its goods in about 120 stores around New England, was also warned in the same letter of some other minor violations regarding product packaging and sanitary conditions. It plans to comply with all recommendations by next week, though it seems the entity most in need of an adjustment may be be the killjoys at the FDA.